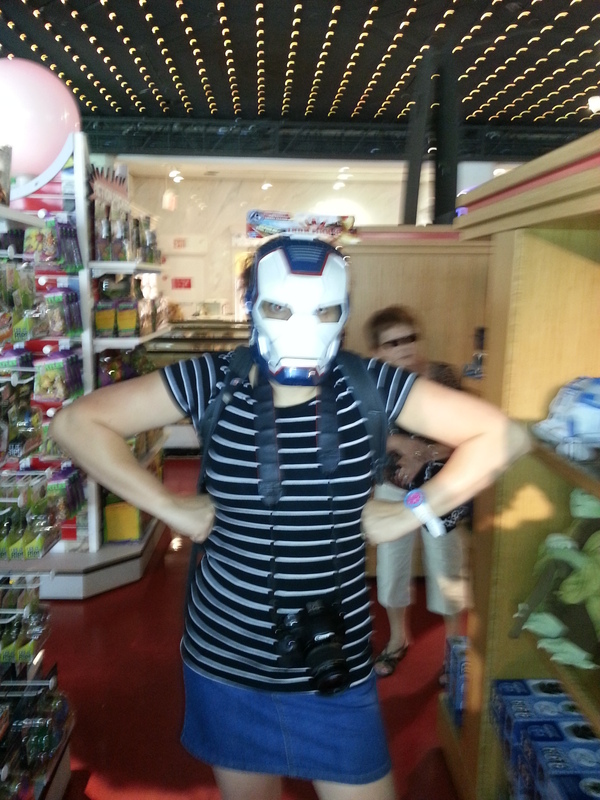 FAO Schwarz is probably the best toy store that I have ever set foot in. In fact so much so that I do believe that we ended up going in there three times whilst we visited the Big Apple last summer. My son who was twelve at the time thought he had died and gone to toy heaven when we walked through those doors. We made sure that he scaled every nook and cranny and saw every toy that was on offer in there. For me, I just wanted to dance on the Big piano. For any of you who are not familiar with the movie Big starring Tom Hanks, well that film is set around FAO Schwarz and there is a scene where Tom Hanks plays the piano by jumping from key to key. Even though my son hadn’t seen Big, I told him that he had to join in with me in jumping onto the keys and when we got back home to Manchester I would ensure that he saw the movie. Which he did, and think he was pretty pleased that he’d done that. 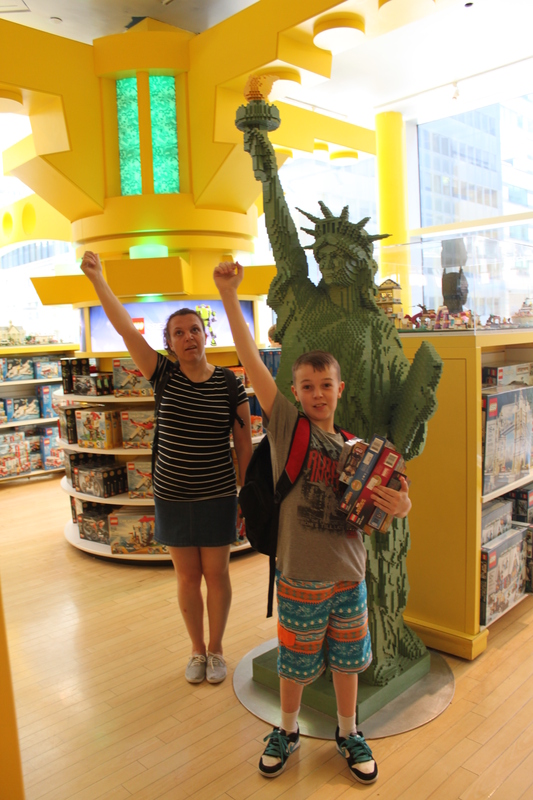 No trip to NYC with kids could go without a few hours spent in this fantastic toy shop. We had a blast trying on the various masks, and taking silly photographs with giants lego pieces. 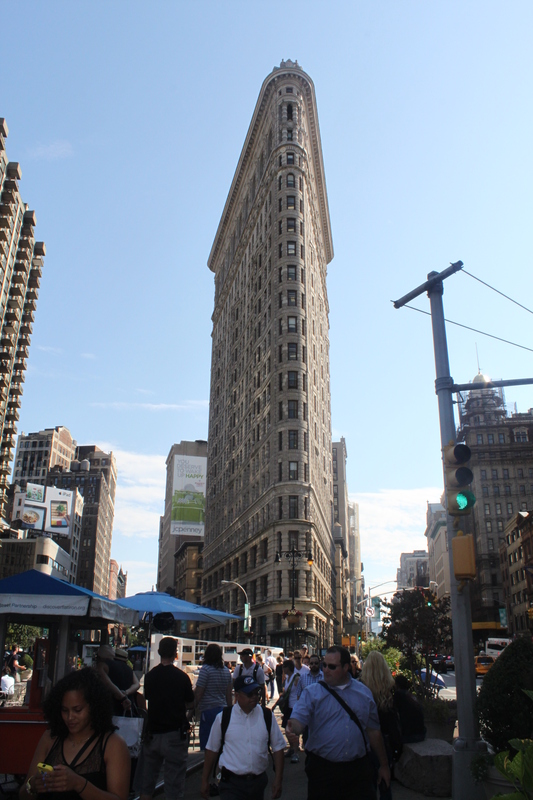 The other F for this blog post is for the Flatiron Building. It’s the most extraordinary building to view as it is very tall, but also really thin. It looks quite odd in fact. The first time we viewed it was from the Empire State Building, so we decided to visit it properly at a later date where we could take a couple of photographs. Mainly the geeks in us knew it from the Spider man films, but anyway it was worth a snap. 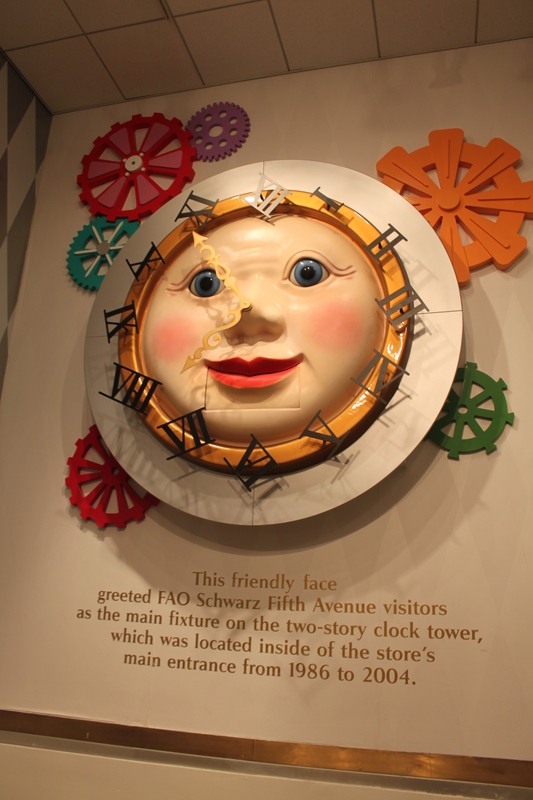 This entry was posted in Blog, USA and tagged blogging, FAO Schwarz, New York, New York City, NYC, Photos, Tom Hanks. That’s awesome! I’d love to spent a day in there, exploring and playing. Good luck with the Challenge! Yeah, I remember that scene with Tom Hanks and the piano. Sounds great for kids of all ages!